The colors of autumn are just getting started here in Pinkham Notch. Cool nights and beautiful days are really bringing out the color – enjoy this sampling of photos taken today! Colors are popping in the shadow of Mt. Washington, as seen from Lila’s Ledge. 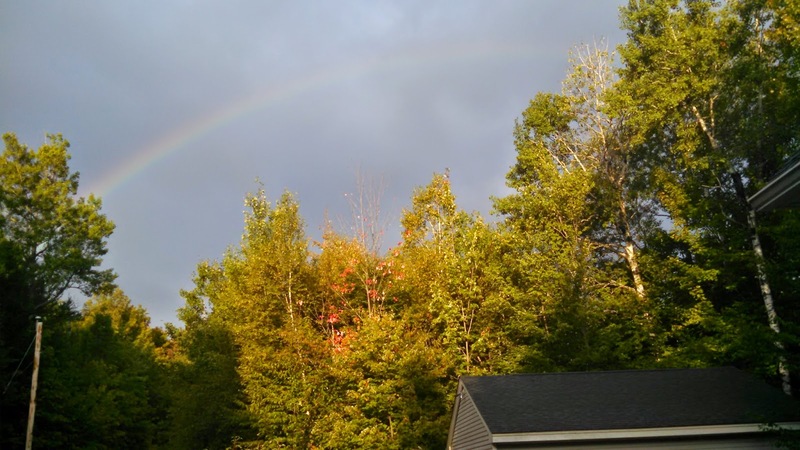 Rainbow after yesterday’s rain (taken 9/18/14). Bush Honeysuckle in our Native Plant Garden. Yellow Birch in full Autumn color on the Tuckerman Ravine Trail. I wish I had read Matt Heid’s latest post, “How to Take Great Foliage Photos” on AMC’s Equipped blog before heading out this morning. Give it a read to brush up on your foliage photography skills! Stay tuned as we continue to bring you foliage updates from the White Mountains, right here on AMC’s Nature Notes. Photos by Nicky Pizzo and Danielle Jepson.